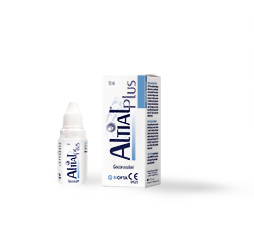 ALTIAL® Plus is an ophthalmic lubricating solution based on cross-linked hyaluronic acid, formulated for the treatment of ocular discomfort deriving from: prolonged exposure to sunlight; permanence in air-conditioned rooms; prolonged use of computers, video terminals, television; redness caused by external agents; use of contact lenses. Instill directly in the eye, when the need is felt, 1-2 drops of product, even several times a day. 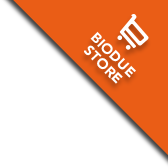 Cross-linked hyaluronic acid 0.3%, PHMB 0.0001%, Sodium Chloride, Phosphate buffer, purified water. Read carefully the leaflet.